A skilled staff plays a key element in the success of a company. In order to get the best workforce for your company, contact VERAI Placement Service. We are located in Vadodara (Gujarat, India) and hire talented manpower for different industries. 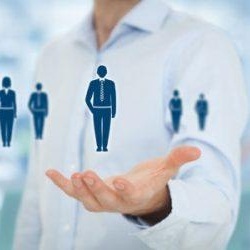 Our recruiting panel understands the recruiting criteria for your company and offers you the best staff for the company. All the potential applicants are interviewed on different levels before we hire them. So, if you are searching for trustworthy manpower recruitment services, get in touch with us now.